Senior Database Platform Engineer at QS2 AG – Quality Software Solutions. Co-leader of Data Community Krakow local group, former Polish SQL Server User Group – PASS Chapter. Microsoft Certified Trainer (MCT) and Microsoft Certified Solution Expert: Data Platform. An active speaker at numerous internal and external meetings and conferences including SQLDay, SQL Saturday, etc. Michał has broad professional experience related to Microsoft technologies since 2005. At the beginning, Michał was working as System Engineer responsible for administration, management and troubleshooting IT infrastructure based on Microsoft Windows 2000/2003 servers in Active Directory domain. Broad responsibilities allowed rapid improvement of technologies skills and easy decision which specialization to pursuit. First steps with Microsoft SQL Server, Michał started with version 2000 and constantly increasing knowledge in different environments varying from small shops with only one SQL Server installation to huge international corporation with hundreds of instances with all version. All these experiences helped develop organizational skills and effective interaction skills with internal and external clients. 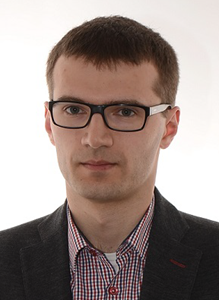 Starting from October 2015 Michał is a lecturer on postgraduates’ studies at School of Banking and Management in Krakow in the specialty of Administration of SQL Server. In May 2017 Michał became Microsoft Certified Trainer and since then delivers courses around Europe based on Microsoft Official Curriculum or customized learning plans. Also helps clients to stabilize SQL Server based environments and increase Return Of Investments from current database estates. Beside professional work, Michał is also active on SQL community delivering sessions on numerous SQL Server related events around Europe. You can find Michał on Twitter: @SadowskiMichal, LinkedIn or you can read his posts on this blog. See Michał’s posts on this blog.